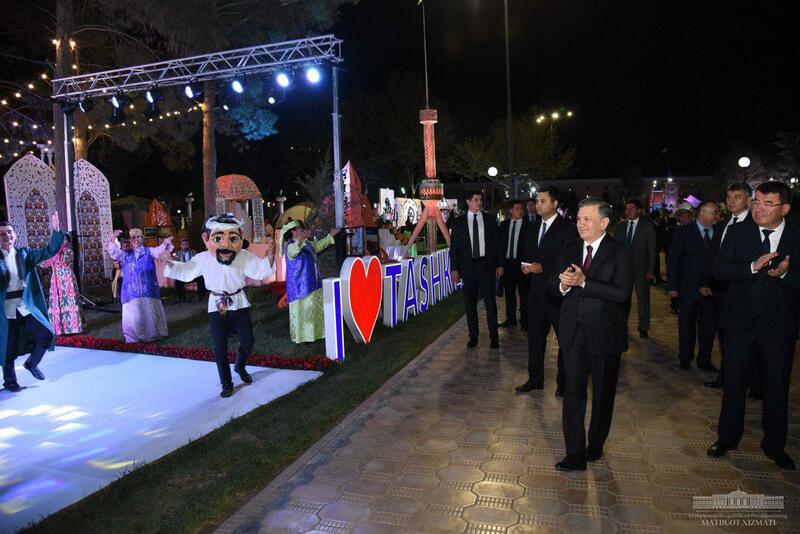 The city of Termez has played host to the opening ceremony of the International Bakhshi Art Festival. 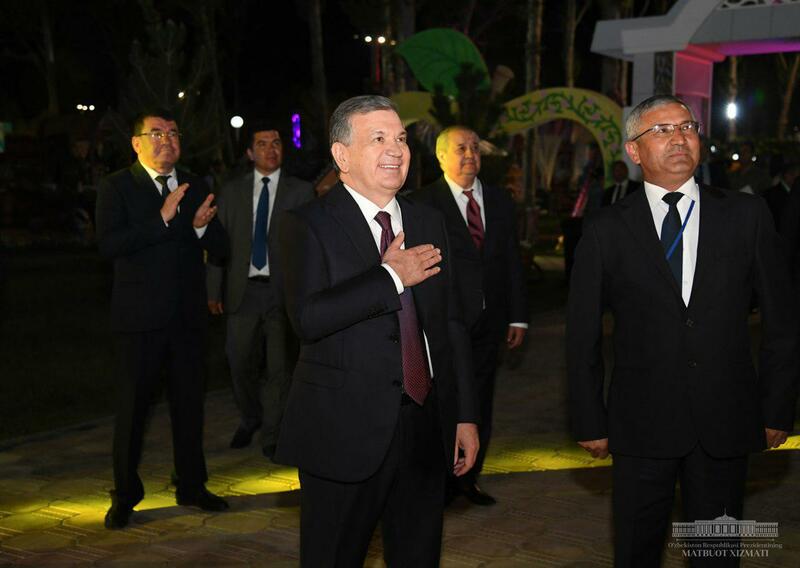 President of the Republic of Uzbekistan Shavkat Mirziyoyev delivered keynote speech at the grand ceremony and congratulated those gathered on this event. 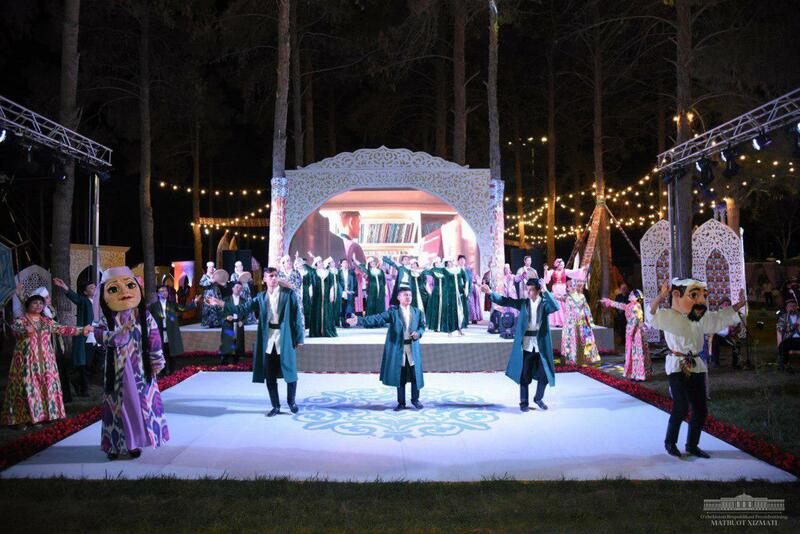 The art of bakhshi narrators, reflecting the national identity of different peoples, their language, lifestyles, customs and traditions, is of particular importance as an integral part of human culture. 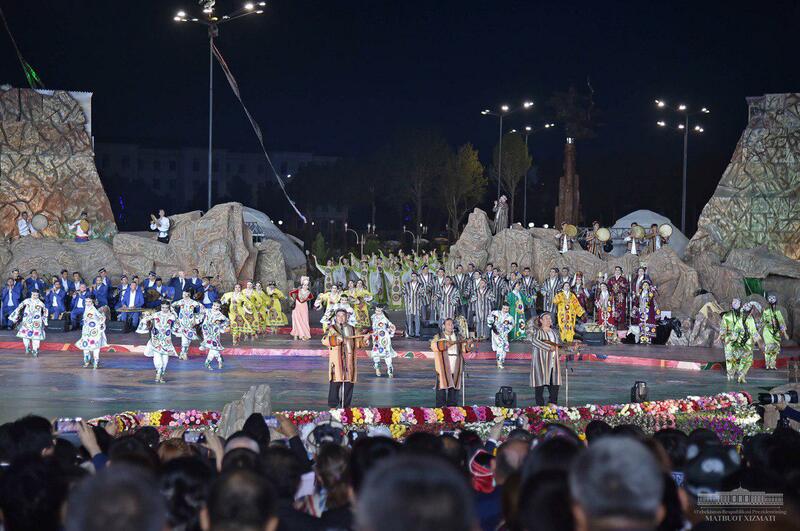 These immortal works, themselves vivid examples of the world cultural heritage, testify to the common historical roots, the noble ideals of humanity and, naturally, the desire of all peoples for a bright future, Shavkat Mirziyoyev suggested. 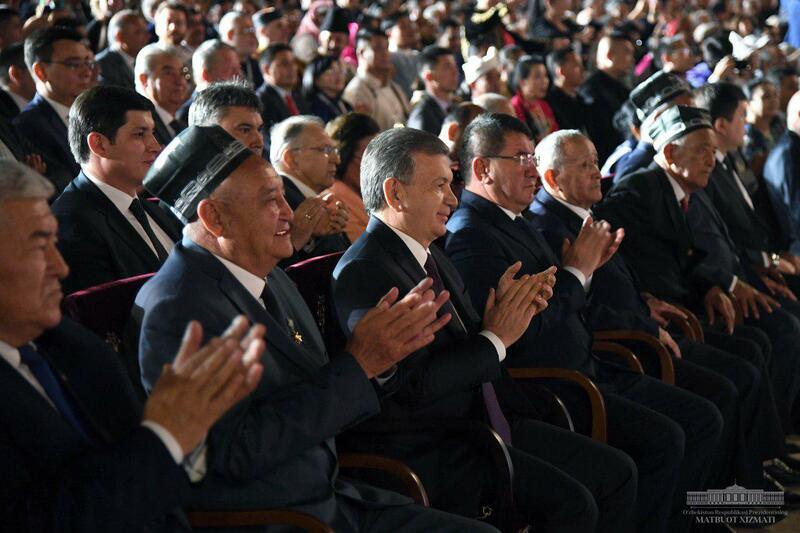 In his welcome speech, the head of state expressed his views on contemporary requirements, on the protection of values, on the work of bakhshis and the mission of scholars. His words “folk art is a lullaby of humanity” and “bakhshi art is not only an echo of the past, it is also the clear voice of modernity” became an expression of the essence and significance of the festival. The folk epic has served to glorify the best human qualities, as much as a means of developing culture, enlightenment and education. In ancient times, when the letter was not yet invented, legends about courage, good deed, honesty, patriotism and friendship were passed on through verbal art. Therefore, bakhshi narrators served as ambassadors of humanism and always enjoyed honor. In the current era of globalization, attention to this ancient art began to weaken. 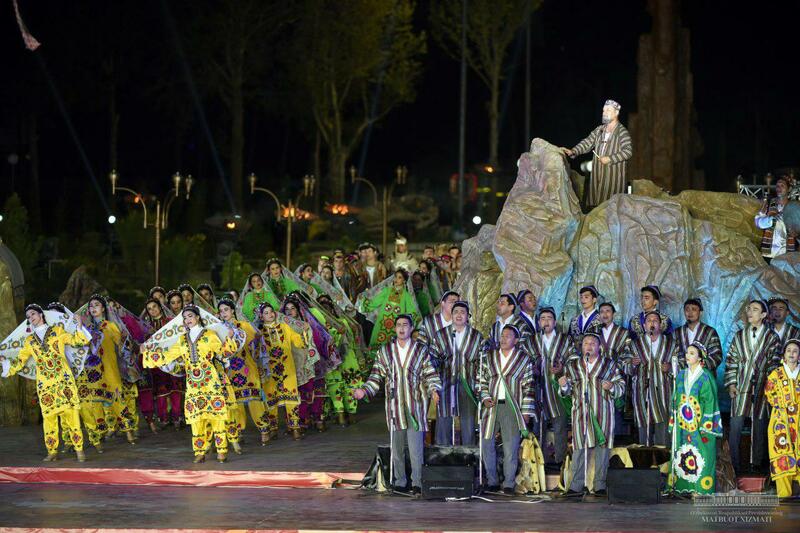 With the departure of the older generation of bakhshis from the stage, in the absence of consideration, interest and stimulus, their legacy was gradually lost. Thanks to the establishment, at the initiative of the head of our state, of the Bakhshi School in Surkhandarya, ample opportunities emerged to preserve this art and ensure its continuity. 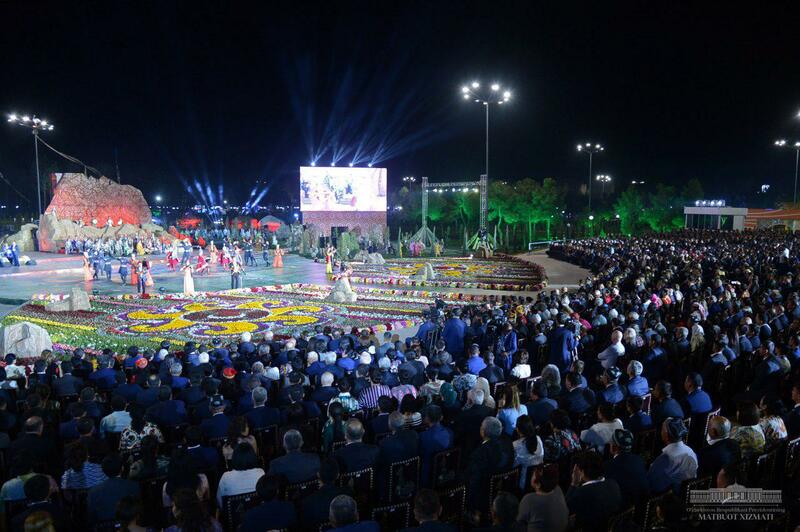 And on 1 November 2018, another historic document was adopted – the President signed a resolution to hold the International Bakhshi Art Festival. An organizing committee was formed, and extensive preparatory works kick started immediately. 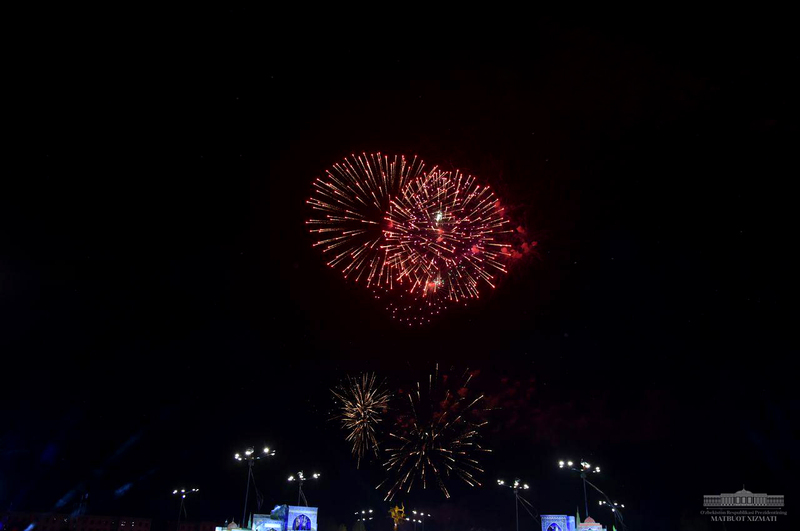 The conveniences have been created for the participants of the festival, foreign guests and spectators. 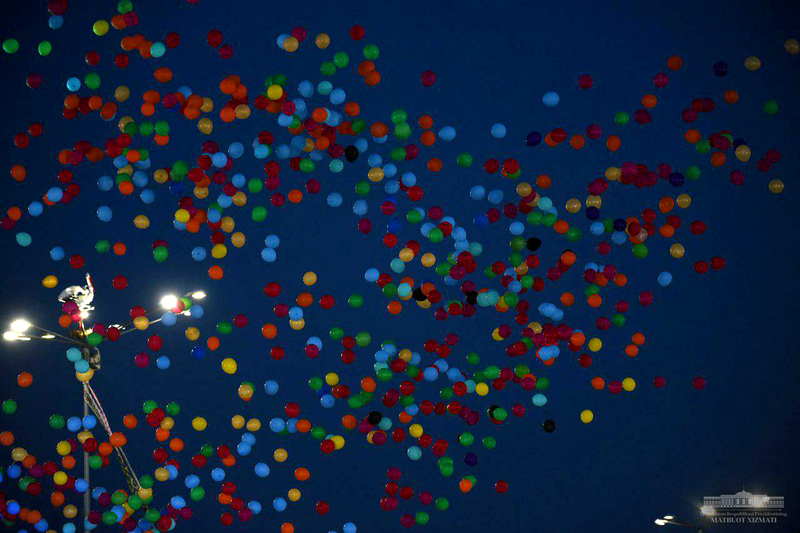 The square hosting the festival got gleefully decorated. 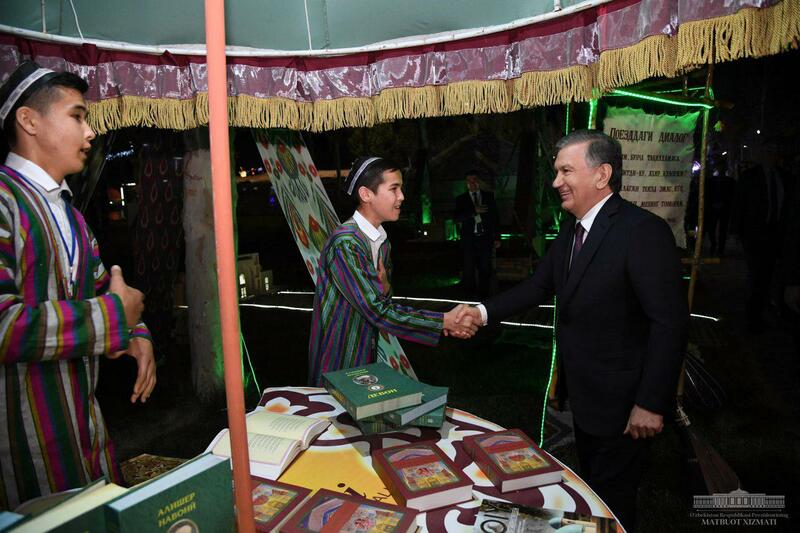 Exhibitions were organized on the art of bakhshi, showing yurts and suzane, works of fine and applied arts, books and albums. 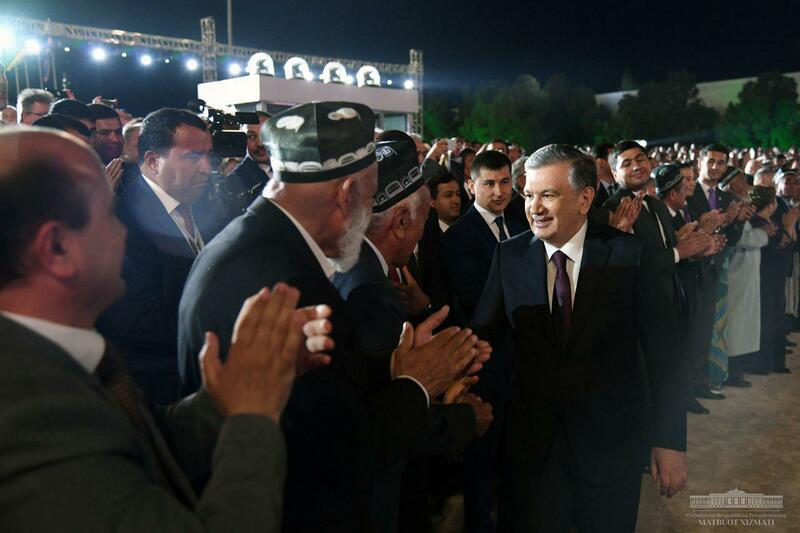 President Shavkat Mirziyoyev familiarized himself with these exhibitions after the opening ceremony. 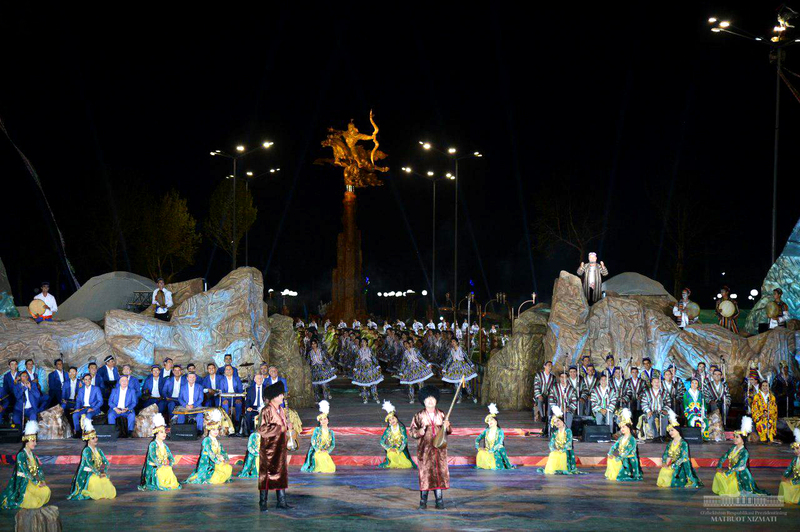 He watched performances of folklore groups from Karakalpakstan and all regions, as well as handicraft products. 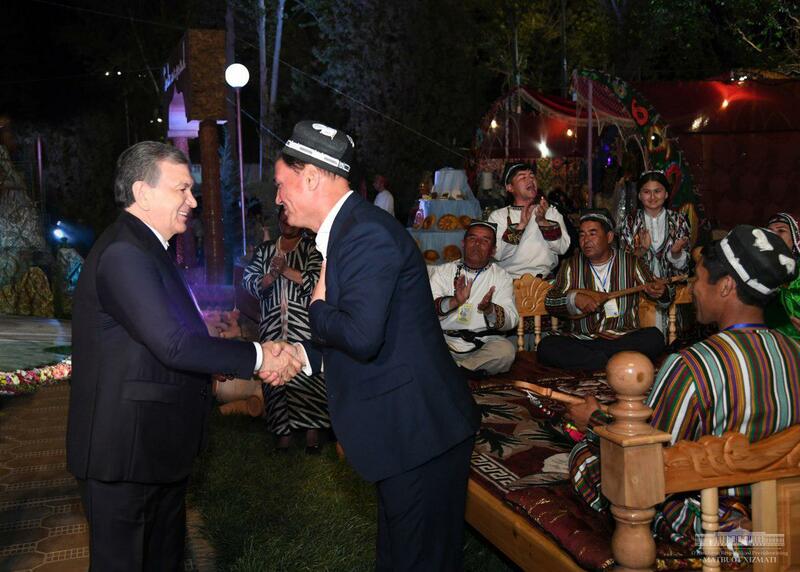 The head of our state talked with artists and artisans and wished them success in their work. 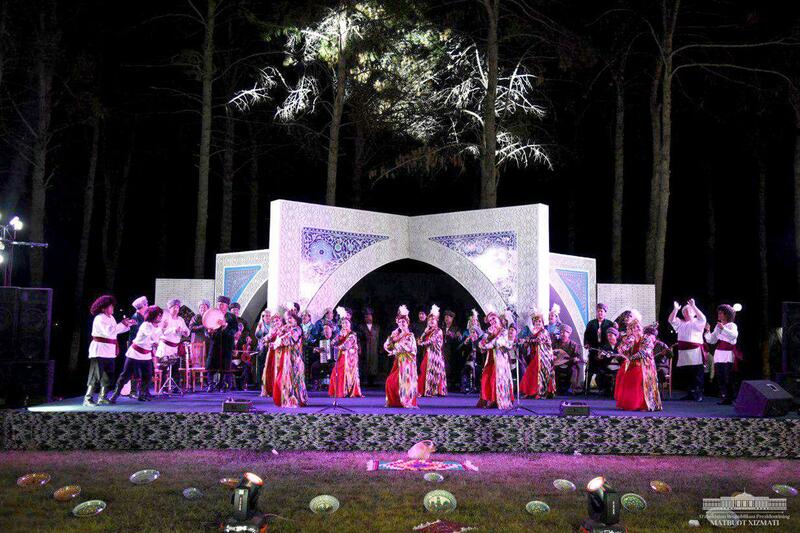 The International Bakhshi Art Festival is held every two years. It will serve to preserve and extensively promote the art of poem-telling, strengthen friendship and creative cooperation among nations. 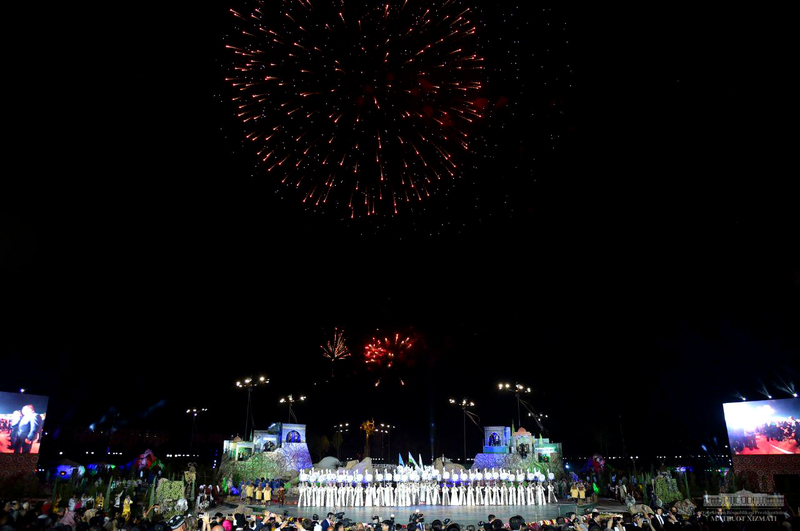 The festival, held this year for the first time, is attended by over 160 representatives from 74 countries.